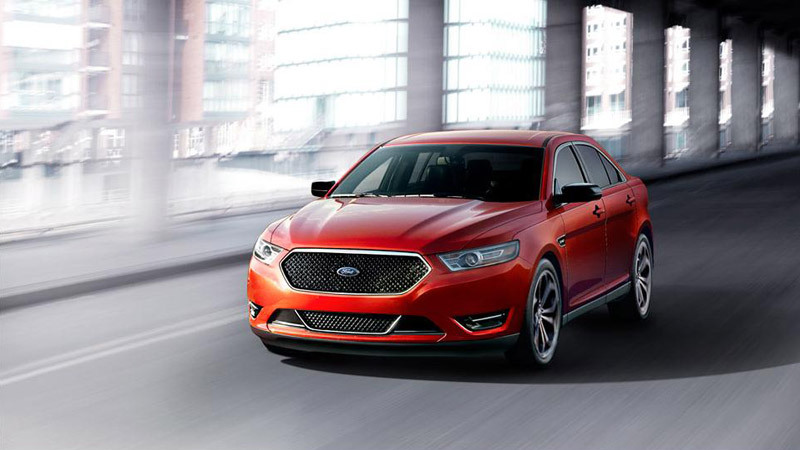 The American Automobile giant Ford Motors unveiled the New Ford Taurus at the New York Auto Show this week. This sedan is supposed to be the 2013 version of the Ford Taurus and has come up with a number of new styling and features apart from the new four cylinder turbo engine option. 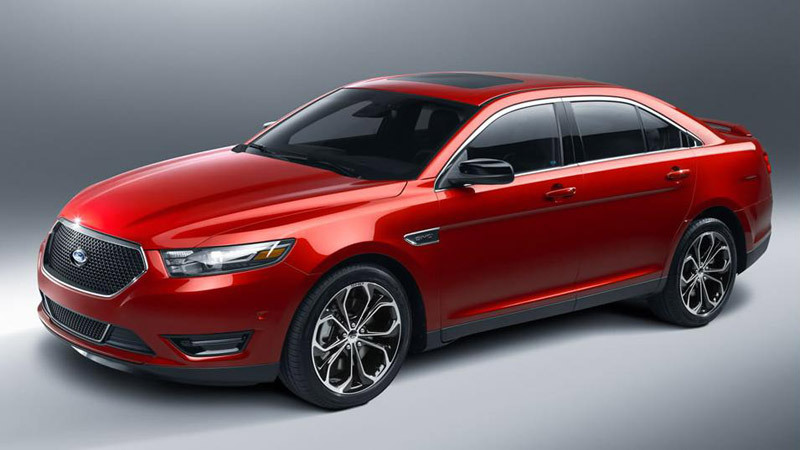 Revealed first in the year 1986, this car has been one of the favourite American sedans and the company still expects the same from this new Ford Taurus. 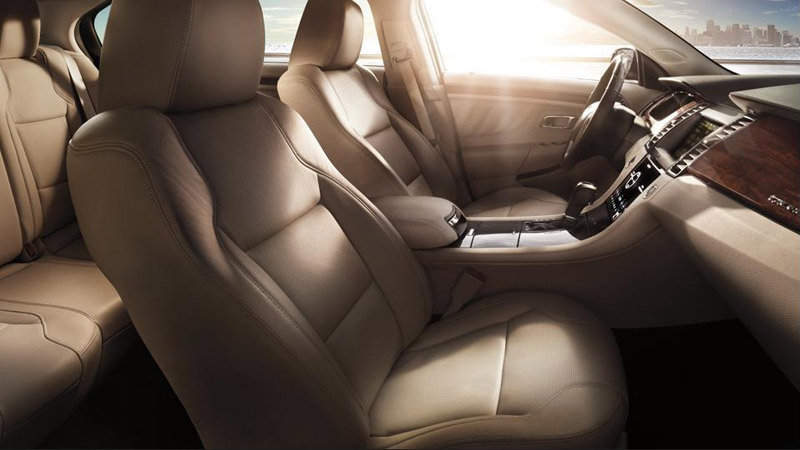 The 2013 new Ford Taurus has been given major facelift which brings this car in line with the latest Ford Family design styles. The front of the car gets wider blacked-out mesh grille, narrower headlights and a larger bulged hood making the car resemble like the 2013 Ford Mustang and Fusion. Similarly the rear of the car gets upgraded trapezoidal shaped LED tail lamps, new fenders and redesigned trunk lid. The black & silver 20 inch wheels along with a trunk mounted spoiler gives a car a distinctive look. This sedan has a length, width and height of 202.9 inch, 85.7 inch and 60.7 inch respectively. 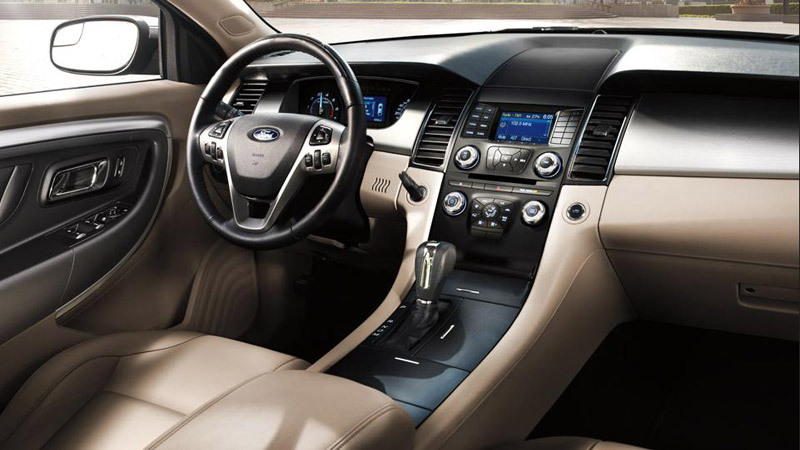 As one enters the New Ford Taurus, they can easily feel the difference from the old Taurus. 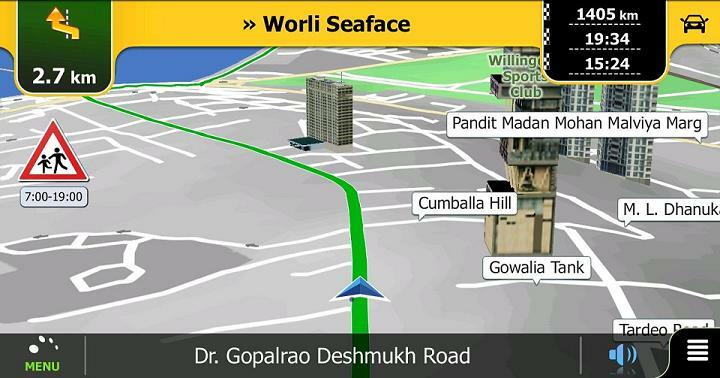 The first thing to notice will be the improved soft touch materials on the dashboard and centre stack. Also there is an updated version of My Ford Touch interface which has been reprogrammed for the ease of use. The eight inch interface menu has now more clearer and responsive menus with a handful of visual controls that has been relocated. Other features includes rearview camera, dual zone climate control, power passenger seats, rear parking sensors, sunroof, adaptive cruise control, hard drive based navigation system, massaging front seats, and a 12 speaker Sony-branded premium audio system. 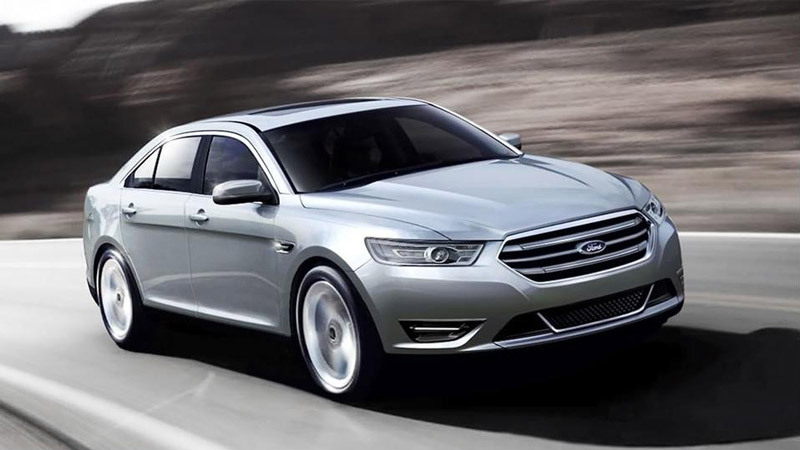 The New Ford Taurus has three engine options with 3.5 L V6, 3.5 L Ecoboost V6 and 2.0 L Ecoboost turbocharged engines. The first one produces a power of 288HP at 6500 rpm, second one 365 HP at 5500 rpm and the last one produces 240 HP at 5550 rpm. All these engines are connected to a 6 speed electronically controlled SelectShift gearbox which increases the fuel efficiency of the car. 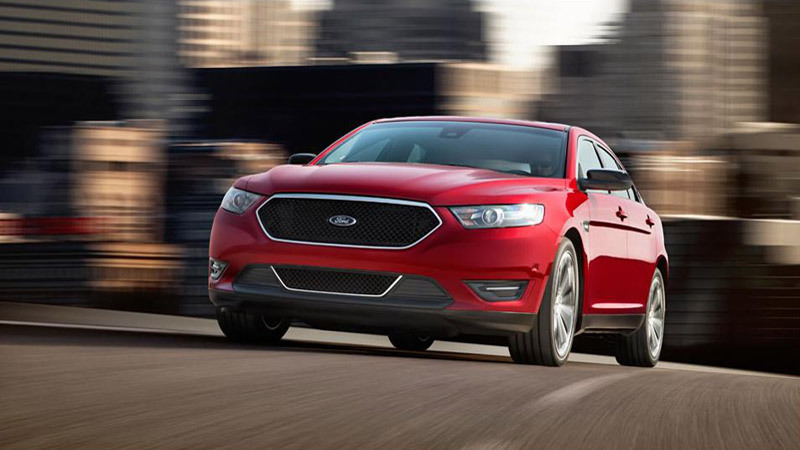 The 3.5 L Ecoboost V6 Taurus can reach a speed from 0-60 mph in 5.1 seconds. This new sedan will have to compete against some cars like the Chevrolet Impala, Honda Accord, Nissan Altima and Toyota Camry. 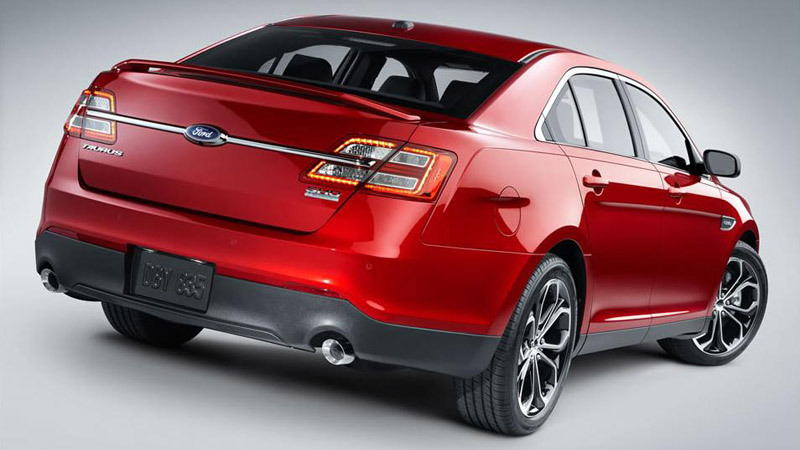 The price is however not set as of now since the new Ford Taurus will go on sale only from next year.